I love shooting in places like bars or restaurants, but too often, photography is forbidden, because the place is packed with people and the owners don't want their customers to be disturbed. That said, every so often, you can find a bar that is completely empty, as was the case here. 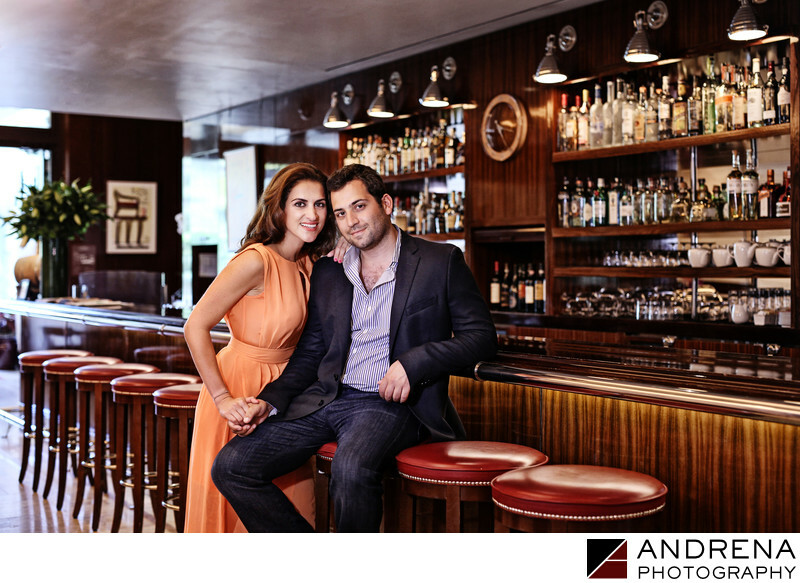 My clients hail from New York and wanted a boutique-hotel vibe for their engagement session in Beverly Hills. Luckily, the hotel they were staying at proved to be the perfect location. Engagement session photographed in Los Angeles and Beverly Hills.